WASHINGTON (Sputnik) - The US central bank is having difficulty determining an appropriate monetary policy response to the escalating global trade war, Federal Reserve members said in meeting notes. "A major escalation in trade disputes, the complex nature of trade issues… presented a challenge in determining the appropriate monetary policy response," notes from a recent meeting revealed on Wednesday. The Federal Reserve said that a prolonged trade dispute with other countries will likely cause adverse effects on US business sentiment, investments and employment. Also, an increase in tariffs would reduce the purchasing power of US families, the document said. A major trade war would also cause a significant weakening in the housing sector, a drastic increase in oil prices, and a severe slowdown in emerging market economies, the Federal Reserve said. Over the past few months the United States has engaged in trade disputes with adversaries like China and allies including Canada, Mexico and the European Union. US President Donald Trump has imposed tariffs on steel and aluminium imported from the European Union, Canada and Mexico. The European Union retaliated by levying its own tariffs on over $3.2 billion worth of US imports, saying that the tariffs targeted over $7.4 billion worth of EU exports. 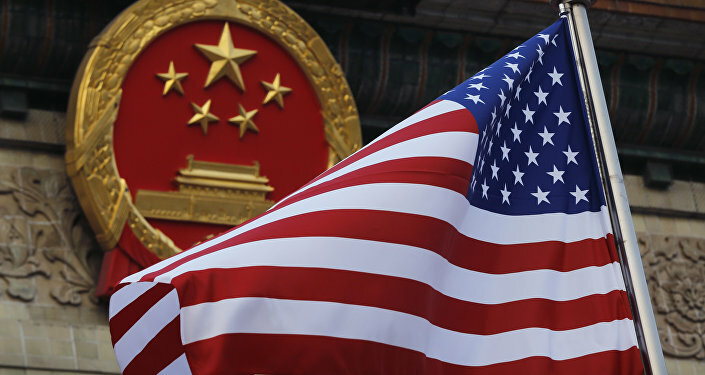 Last week the Office of the US Trade Representative announced it had finalized another set of tariffs against Beijing targeting $16 billion in products from China that would be subjected to a 25-percent tariff. The new package will come into force on Thursday, the second day of negotiations. Beijing has promised to again match the US move by imposing tariffs on $16 billion worth of US goods.